Author David CookPosted on April 13, 2019 April 19, 2019 Categories TournamentsLeave a comment on Thank You, Sherry and Robyn! 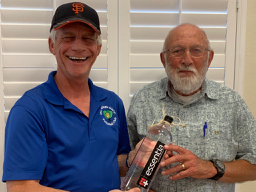 Larry Martinson was elected President of the Pickleball Club at the General Membership meeting held April 7, 2019 at 4:30pm in the Foothill Center. The entire slate of officers and committee chairs are listed here. As the new President of the Pickleball club for 2019-20, I thank you for being a member of such a fun club. 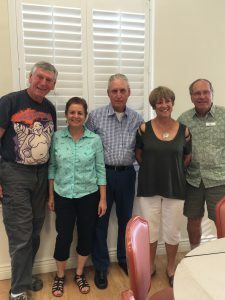 We truly are more social than any other athletic club in the Villages as far as I am concerned and we want to keep it that way. To play pickleball is to have FUN. Thank you also for voting in my new board and appointed positions. With out all of you, our club would not be possible. Let’s have a fantastic year with hopes of having our own courts built by this time next year. See my goals for the club attached. Maintain an active vibrant Club and grow the membership by 35 members. Ginny Spencer membership. Note that several groups are “Invitation Only” which means don’t show up and expect to get to play – Check with the group organizer in advance to find out if there are open slots – many of these are just small groups of friends and don’t intend to expand. 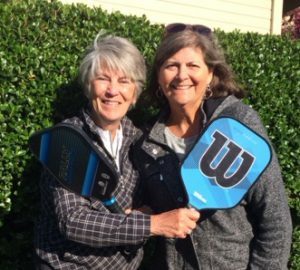 Pickleball Ambassadors Visit the Villages, Friday, Feb. 15th! Michael and Princess Leong, USAPA Pickleball Ambassadors for San Jose and the East Bay, will be visiting the Villages Pickleball Courts at 1pm, on Friday, February 15th. Everyone is welcome to come and meet them, get the latest local and national news on Pickleball, and perhaps play some games. 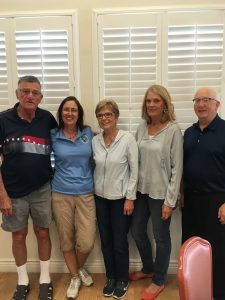 Ambassadors are volunteers who have pledged to promote the sport of pickleball and the USAPA in the local area they have applied to represent. They may be individuals or couples, or a group of ambassadors working together as a team. The main prerequisite is a love of the sport and the desire to share our game with others of all ages. Some full-time RV’ers are Ambassadors ‘at large’ who promote our sport during their travels. 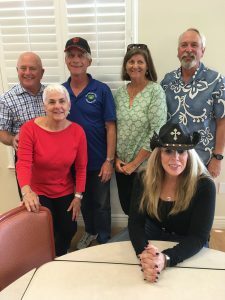 Author David CookPosted on February 10, 2019 March 7, 2019 Categories AnnouncementsLeave a comment on Pickleball Ambassadors Visit the Villages, Friday, Feb. 15th! A great time was had by all! Thank to Trish O’Neil and Robyn Siebenthall with assistance from David Cook, Sheryl Ruth, Ginny Spencer and Anahid Gregg. 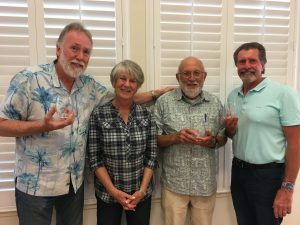 Check out the photos in our Photo Gallery and Garry Gray’s Opening Remarks recounting the many Pickleball Club accomplishments in 2018! Due to popular demand, The Villages Pickleball Club is taking another round of ordering for Pickleball Shirts – AND we’ve added some Club accessories! Date Extended – All orders must be placed by March 18th!! After placing your order, you will receive a confirmation email with the items ordered and the amount due. Author David CookPosted on January 27, 2019 February 21, 2019 Categories AnnouncementsLeave a comment on Pickleball Shirts and Accessories! Effective February 1, 2019 Pickleball will be able to sign up at the shack 7 days plus 90 minutes. The TC Board met January 22nd and voted unanimously for the change you see below. When signing up to play Pickleball on courts 5 and 6, you may sign up 7 days plus 90 minutes in advance. Effectively, if you play at regular times, you can sign up at the end of your session for the following week. Example: If you plan to play pickleball on Friday, February 8th, at 10:30 am the soonest you could sign up is February 1st at 12 pm. To play on February 15th at 10:30 you would sign up on February 8th at 12 pm. (90 minutes after your scheduled play time). It’s always 7 days plus 90 minutes after your scheduled play time.